Many companies routinely ask me how they can prepare properly to communicate when – not if – a crisis happens. While we can be quite optimistic, the realist in us all knows from experience there will always be something that happens. The question is, are you actually prepared to avoid the worst case scenario, in the event of a crisis? 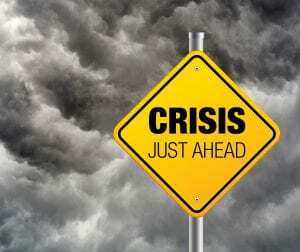 Now, if we can agree that something will happen – a small crisis or a big crisis, there are some simple strategies that will help you to be properly prepared, that will mitigate the risk that you will likely encounter. After all, it’s about being prepared to protect your brand image and ensure business continuity. 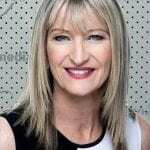 Here are ten simple strategies I recommend for best practice risk and crisis preparation, and minimising the damage to your brand reputation. Complete a Vulnerability Audit. What are the things that potentially can go wrong? List them out and see where your ‘weaknesses’ are, and start to identify them. Create a Crisis Communications Plan. This is not the crisis management plan which is an operational emergency response. I am talking here about an effective crisis communications plan that overlays the operational crisis response. The communications plan is a very detailed plan containing a blueprint as to who you need to communicate with, how to communicate with them, when to communicate and what to say, verbally or in writing, including the all-consuming media. Complete a Resources Audit to find and list your people, your leadership team and their deputies. Who will be responsible for communications to the staff, to customers, the board, media and also the public? Complete a Resources Audit for Digital & Social Media. Do you have people on tap to monitor Facebook, Instagram, Twitter or whatever social media is applicable and have you got people on hand to upload statements, or videos perhaps, to your website? Understand your Technology. How will you contact your stakeholders in a hurry, if you need to? Engage External Advisors and Experts. Do you have communications and legal experts in place that you can call on immediately? Engaging a reputation management company to be on call in a crisis situation may help you recover from potential crises and save your reputation in the long term. The all-important one; Media Training. Have you properly trained your media spokespeople to front the media? They need training before they do this. Run Simulations. Planning is great, but have you actually tested the Crisis Communications plan and the people who have roles in it? Most companies test it when things go wrong. You need to be smarter about it and test it before a crisis happens. Undertake a Response and Management Assessment. After the crisis has happened and things have returned to normal, how do you assess how well you managed it and what needs to be amended in your plans? Finally, your Recovery Strategy. If you feel that your company’s reputation has been damaged in any way, how would you recover from that? Take a look to see what you might be missing, or where some of your weaknesses lie. If you are missing any of these steps, you have a hole in your planning which will leave you vulnerable when a crisis occurs. The key is to be strategic about it and lay down a plan that can work for you – today and tomorrow.